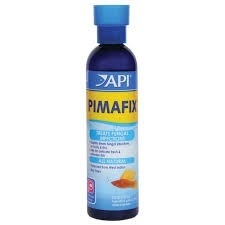 Aquaria AP PIMAFIX 8OZ - Rick's Pet Stores Inc.
PimaFix is a natural botanical anti-fungal remedy for both fresh and saltwater aquariums. It will not discolor water or stain decorations. 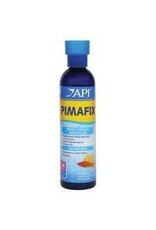 Can be used together with Melafix to treat a broader range of infections and promote faster healing.